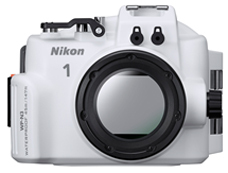 TOKYO - Nikon Corporation is pleased to announce the release of the new Nikon 1 J4, the latestaddition to the J series of Nikon 1 advanced cameras with interchangeable lenses that propose new forms of imaging expression. The Nikon 1 J4 is a model with which performance with tracking of moving subjects that exceeds that of digital SLR cameras, and advanced shooting functions with excellent image quality that makes full-scale photography possible, have been incorporated in a compact and lightweight body. It offers 105 focus points with phase-detection AF and 171 focus points with contrast-detect AF. 105 densely packed focus points positioned over a broad range of the frame ensure precise acquisition of moving subjects. The Nikon 1 J4 supports high-speed continuous shooting at the world's fastest* continuous shooting rate of approximately 20 fps with AF tracking, and up to 60 fps when focus is locked. Ultra high-speed AF capable of capturing the perfect moment, ultra high-speed continuous shooting, and Best Moment Capture mode useful when it is difficult to gauge the best time to press the shutter-release button enable optimal response for capturing subject movement or fleeting expressions. Equipped with 18.4-million pixels, a super high-speed AF CMOS sensor with no low-pass filter, and the latest EXPEED 4A image-processing engine, the Nikon 1 J4 offers superior image quality. It is also equipped with a number of advanced features that allow users to easily capture images as intended. Among these are a TFT LCD touch screen that enables intuitive operation, built-in Wi-Fi® for simple transfer and sharing of high-quality images, and a variety of functions for recording 1920 x 1080/60p full-HD movies, including Fast Motion, Jump Cut, and 4-second Movie. 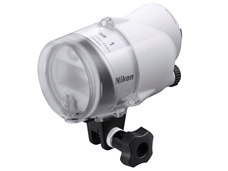 What's more, two new dedicated Nikon 1 accessories will also be released at the same time as the Nikon 1 J4: the WP-N3 Waterproof Case, and the full-scale Underwater SB-N10 Speedlight that allows users to fully enjoy the new values of the Nikon 1 system with underwater photography. *Among digital cameras with interchangeable lenses available as of April 10, 2014. Statement based on Nikon research. The superior AF-tracking performance of the Nikon 1 J4 enables capture of even moving subjects in sharp focus. At approximately 20 fps, the Nikon 1 J4 also boasts a high-speed continuous shooting rate that exceeds that of digital SLR cameras and is the world's fastest. This, along with an even shorter shooting time lag, ensures certain capture of decisive moments. The Nikon 1 J4 is equipped with a 3-inch, approximately 1037k-dot, electrostatic touch screen with which touch operations can be used to focus and track subjects, making shooting simpler and more intuitive. By simply pressing the feature button on the multi selector during shooting or with image playback, detailed settings that can be quickly adjusted are displayed. 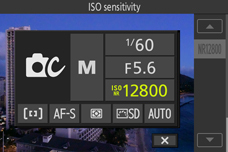 In addition to adoption of simple icons that are very easy to see and read, and the ability to precisely specify settings such as shutter speed, aperture value, and ISO sensitivity, users can also choose from five shooting modes (Auto, Creative, Best Moment Capture, Motion Snapshot, and Advanced Movie). Users can preview creative effects such as brightness, vividness, and white balance in real time by rotating the palette displayed in the monitor. Images exhibiting the desired results can be captured by simply pressing the shutter-release button when the preview display reflects the user's intent. Built-in Wi-Fi® allows users to easily transfer high-quality still images recorded with the Nikon 1 J4 to a smart device, from which they can be shared. 1920 x 1080/60p full-HD movies up to approximately 10 minutes in length can be recorded. The electronic vibration reduction (e-VR) function built into the camera can be used to process movies to reduce the effects of camera shake that occurs with movie recording. Recording pauses every other second for a drop-frame effect. Recording automatically stops after four seconds. This creates a short movie suitable for posting on social networking services and the like. In addition, up to eight clips can be joined into a single movie using the Combine 4-second Movies option in the playback menu. In Motion Snapshot mode, simply pressing the shutter-release button records a still image and about 1.6 s of slow-motion movie footage before, and depending upon settings after, the user presses the shutter-release button. With the Nikon 1 J4, ambient sound can also be recorded with Motion Snapshots. In addition, the camera can be used to combine movie segments of up to eight Motion Snapshots to create a single movie. *The SK-N10A, SC-N10A, and SR-N10A are available separately.